The chief executive of the health think tank the King’s Fund and a woman who has been fundraising for the Royal British Legion for almost 97 years are among those to be given awards in this year’s Queen’s Birthday Honours list. Chris Ham, who is standing down as head of the King’s Fund at the end of the year, has been knighted, along with Charles Saumarez Smith, chief executive of the Royal Academy of Arts. Janet Vitmayer, former chief executive of the Horniman Museum and Gardens, has also been made a dame in a list that is light on voluntary sector representation among the highest honours. 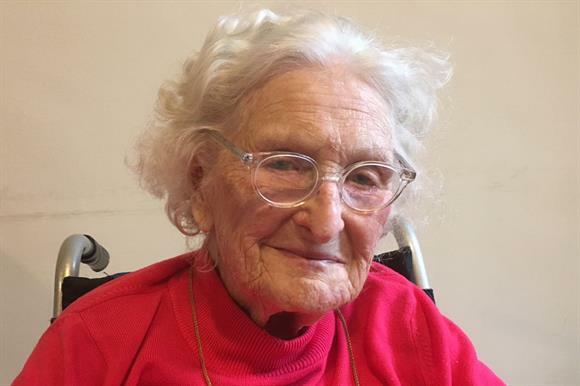 Rosemary Powell, who is 103, is made an MBE for services to charity, having collected donations for the Royal British Legion since the first Poppy Appeal in 1921, when she was six. The charity said she was believed to be the UK’s oldest and longest-serving Poppy Appeal collector, and planned to retire from collecting after this year’s appeal. There are CBEs for David Orr, chief executive of the social housing umbrella body the National Housing Federation, Jennifer Saunders, former chief executive of the fuel poverty charity National Energy Action, John Kirkby, founder of the poverty relief charity Christians Against Poverty, Kevin O’Hare, director of the Royal Ballet, and Ryan Campbell, chair of the mental health charity Mind. OBEs go to voluntary sector figures including John James, chief executive of the Sickle Cell Society, Angela Morgan, former chief executive of the young people’s charity Includem, and Manoj Badale, chair of the British Asian Trust. Robin Harper, former chair of the Scottish Wildlife Trust, Diana Owen, former director of the Shakespeare Birthplace Trust, Paul Roseby, chief executive of the National Youth Theatre, Richard Smith, director of the Tank Museum and Roisin Wood, chief executive of Kick It Out, which tackles discrimination in football, are also appointed OBE. The footballer Jermain Defoe is appointed OBE for services to his charitable foundation. Among the many people from the voluntary sector appointed MBE are Eileen Chester-James, chief executive of Staffordshire Women's Aid, Halford Hewitt, chief executive of Ipswich Housing Action, Monty Moncrieff, chief executive of the LGBT charity London Friend, Sarah Therese Quinlan, chief executive of the Children’s Heartbeat Trust and Royston Rooke, national volunteering adviser at St John Ambulance. The Cabinet Office said that of the 1,057 people who had received awards at all levels, 71 per cent had undertaken outstanding work in their communities in either voluntary or paid capacities.